A biological antimicrobial homeopathic medication indicated for support of acute and chronic rhinitis and sinusitis, as well as inflammation of the paranasal sinuses. This preparation supports the healing of local pathogenic conditions, activates the mucous membranes to aid excretion of toxins and stimulates a natural immune response to systemic intoxification (frequently expressed locally as rhinitis or sinusitis). 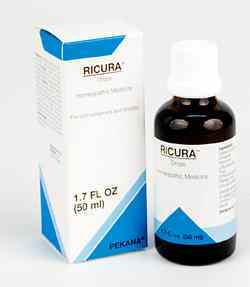 RICURA drops benefit rhinitis, acute and chronic sinusitis and inflammation of the paranasal sinuses. This remedy stimulates the immune system, acts as a disinfectant and natural antimicrobial, activates the mucous membranes to aid excretion of toxins and prevents nasal infection from spreading to other parts of the head, such as the ears. In cases of chronic sinusitis, TOXEX drops should always be prescribed together with RICURA drops for a minimum of four (4) months to alleviate severe symptoms, such as loss of sense of smell, vision problems and chronic headaches and ensure adequate systemic excretion of released toxins. Combining Ricura with other remedies targets their action toward the sinus mucosa. In chronic sinusitis, Ricura is combined with remedies to treat the root of the sinusitis. This would usually be a program oriented towards restoring gut ecology. Ricura with Apo-Dolor helps some migraine sufferers. Airborne allergies can respond well to the combination of Ricura with Pro-Aller. ½ teaspoon as often as needed for symptom relief, up to 6 times per day. This remedy is generally for acute use, and is discontinued once symptoms have abated. Chronic sinusitis and rhinitis generally are caused by a systemic intoxification. If a patient constantly suffers from head infections, the primary excretion organs, such as the kidneys and intestines, have most likely become overburdened or incapacitated by toxins and can no longer carry out their proper functions. A primary cause may be heavy metal intoxification, such as mercury in amalgam dental fillings, combined with a severe dysbiosis of the gastrointestinal tract. Although this heavy toxic load may result in only a slow intoxification in some patients, it can prove absolutely devastating to others, leading to severe reduction in enzymatic processes and impaired intercellular and intracellular exchange of information -- conditions that can lay the foundation for development of chronic illnesses such as Multiple sclerosis, diabetes and Parkinson's disease. In addition, treating head colds and nasal infections with allopathic medications dries out the mucous membranes, forcing the pathogens to relocate to the sinus cavities where foci can develop. Aside from causing debilitating symptoms, these foci also can monopolize the body's immune response and hinder its ability to address other infections properly. 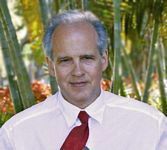 In acute cases, RICURA drops reactivate the excretion process locally, while the combination of RICURA drops and TOXEX drops promotes excretion in chronic infections, thus demonstrating Reckeweg´s theory that successfully treating acute symptoms with biological medications will eliminate severe chronic conditions. Capsicum annuum 4X treats infections of the breathing passageways and the feeling of general exhaustion. It also addresses systemic intoxification, including bladder infection, that often accompanies rhinitis and sinusitis. Cinnabaris 8X specifically treats acute and subacute inflammation of the paranasal sinuses, including chronic rhinitis and sinusitis with no obvious symptoms. It also stimulates the mucous membranes of the paranasal sinuses, which enables the body to regulate correctly, resume proper excretion and eliminate the infection. Kreosotum 6X has a profound effect on the mucous membranes, and eliminates severe inflammation that irritate the nasal tissues. It is an effective disinfectant in treating wounds. Luffa operculata 6X stimulates the mucous membranes of the nose, throat and paranasal cavities. By speeding the flow of stagnant secretion caused by infections or allergies, it helps alleviate symptoms quickly. Thuja 6X effectively benefits acute and chronic infections of the paranasal cavities accompanied by sinus pressure, headaches and pus-producing infections of the mucous membranes. This herb also helps correct a reduced or lost sense of smell. Echinacea angustifolia 1X is the classic homeopathic medication for stimulating the body's systemic immune response and treating bacterial and viral infections, including infections of the paranasal cavities. Plantago major 1X contains unique properties that help protect the ear canals from a spreading infection. In addition it is an effective natural antibiotic. Sanicula europaea 1X benefits infections of the paranasal cavities. This herb has traditionally been used to heal wounds and treat tumors and cancerous processes, which testifies to its efficacy in treating pathogenic developments.